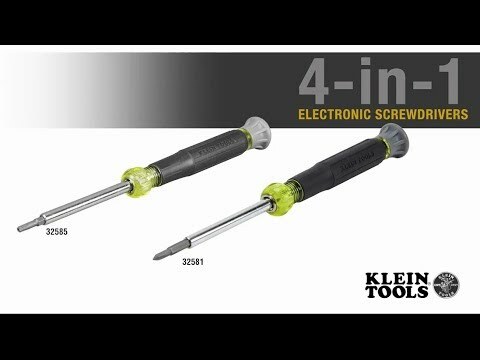 These replacement bits work with Klein's 4-in-1 Electronics Screwdrivers. The two double-ended #00 Phillips and 1/8 Slotted bits are designed for precision work. Made of the highest quality tempered steel, carefully heat-treated for maximum strength, and precision milled to fit screw openings securely.